Last week, I was wondering it has became a pleasant season…. but now Its too cold to wear half sleeve shirt with opening the window. When I took this picture, it was sunny and warm but now the water of it seems too cold. I gave up to wear short pants in my house since few days ago. The range of the temperature and the humidity which human being can live without a help of what we wear is really narrow. But I guess its fleetingness brings delicacy to this season and I love it. 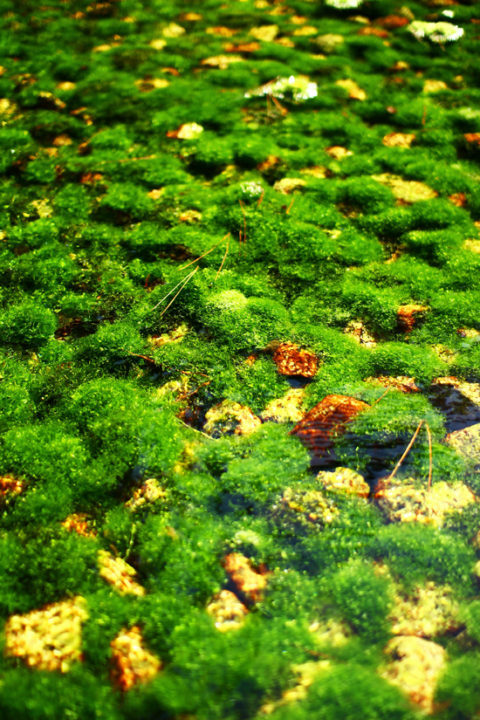 Photo: Moss in Ritsurin park.